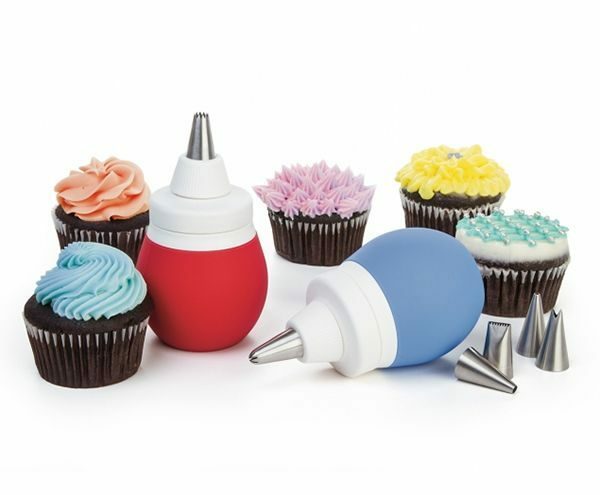 Take cakes, cookies and cupcakes to the next level with these silicone Decorating Bulbs. 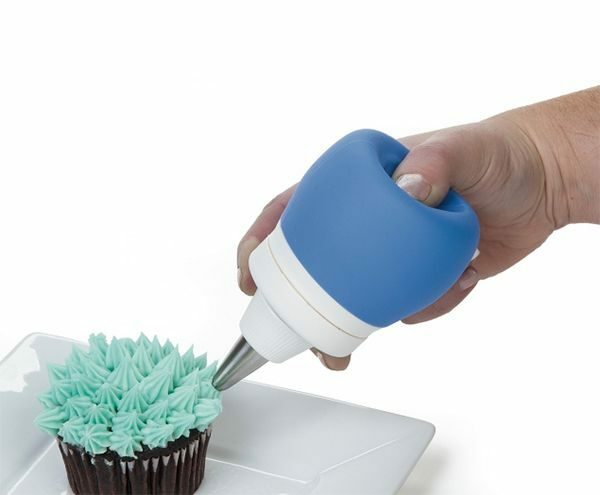 Fill the frosting bulbs with icing or warm ganache before piping. The high-heat silicone bulbs are microwave safe for heating toppings. 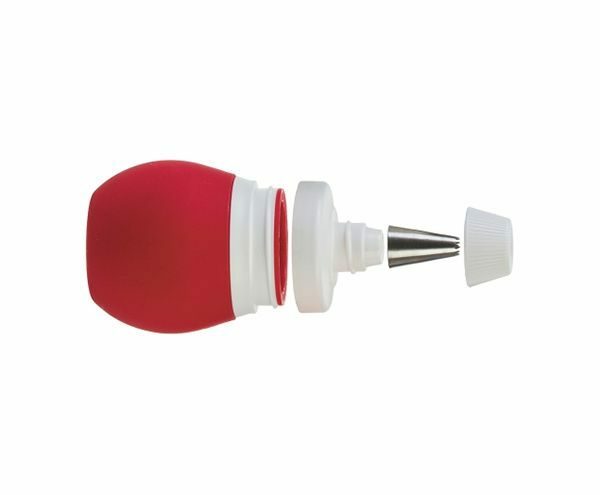 Includes set of 3 piping tips; fits standard metal tips. Available in red, blue, and purple. For over 40 years, Progressive International’s mission has been to create innovative kitchen tools and gadgets that make food preparation fun and fast while inspiring culinary creativity. Their philosophy is simple: offer stylish designs complimented by no-nonsense functionality, and their ongoing mission is to provide exceptional kitchen essentials that help cooks of all skill levels create meals worth sharing.